In What Doctors Feel, Dr. Danielle Ofri has taken on the task of dissecting the hidden emotional responses of doctors, and how these directly influence patients. How do the stresses of medical life - from paperwork to grueling hours to lawsuits to facing death - affect the medical care that doctors can offer their patients? 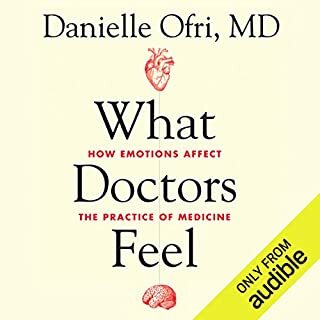 Digging deep into the lives of doctors, Ofri examines the daunting range of emotions - shame, anger, empathy, frustration, hope, pride, occasionally despair, and sometimes even love - that permeate the contemporary doctor-patient connection. Within the pages of this book are lessons I shall never forget. For any person vaguely interested in the way a doctor functions on a day to day basis this is for you. If you wish to understand how doctors suffer slings and arrows yet continue to march onward for the glimmer of hope and joy, for triumph against all odds, this is for you. Thank you Doctor Ofrey and Audible in extension, this has been life changing. Not what I expected but brilliant! This short history is simply astounding. 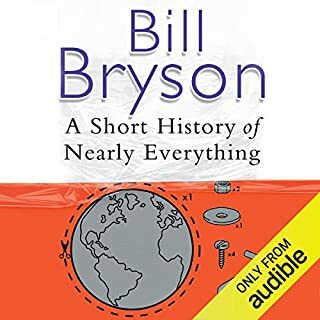 Bryson lashes together some of the grandest and boldest ideas, events and ages into a clever, but easy to enjoy audiobook that I would recommend to all. I am honestly grateful that I got the opportunity to listen to such a wonderful work.